Every serious gardener has their own remedy for slug infestations, whether it is coffee grounds, copper tape or eggshells. However, scientists have found they are all wasting their time. Short of slipping out at dusk and removing them by hand or resorting to chemical control methods, there is no way to defeat the invaders. The UK's Royal Horticultural Society (RHS) tested five home remedies on lettuces over the summer, to see which provided the best defence. Scientists found copper tape, horticultural grit, pine bark mulch, wool pellets and egg shells made no difference when applied around lettuce, with the gastropods inflicting the same damage whether they were treated with remedies or not. They sowed 108 lettuces and treated them with alternate control methods - including no control at all - and found no discernible difference. Dr Hayley Jones, an entomologist at the RHS and the lead researcher, said: "Our study reveals many gardeners could be wasting time and money by turning to home remedies in a bid to protect their prized plants. 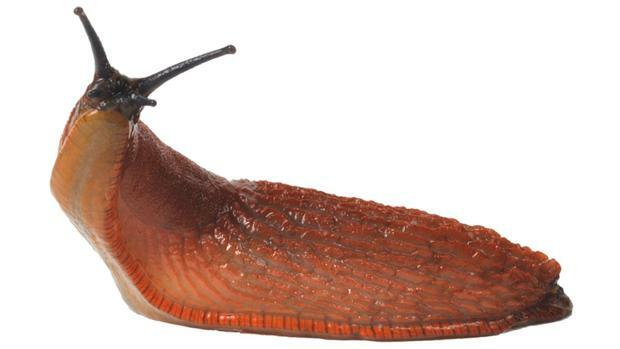 With the likes of egg shells, barks and mulch so far proving no discernible deterrent to slugs and snails, we would recommend using proven formulas like nematode biological control if the damage is too much to bear." Those tested were thought not to work because, although rough and sharp textures look unattractive to soft-bodied animals, the thick mucus of slugs and snails acts as a shield, enabling them to glide over. A toad may be the answer to slug woes, as the RHS recommended gardeners encourage predators to guard their plants. Physical removal and traps were effective.